SIGGRAPH Asia 2018 will be held from 4 - 7 December 2018 at The Tokyo International Forum (TIF) in Tokyo, Japan. If you lose your badge, you must obtain a new badge at the published onsite rates. Lost badges cannot be reprinted even if you show us your official confirmation letter and receipt. 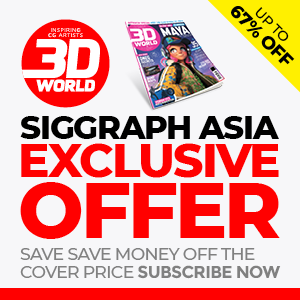 SIGGRAPH Asia 2018 conference documentation will not be shipped, nor will refunds be given for any material not picked up at the Registration Counter. Please be aware that parts of the Conference may contain adult content, graphic images, or violence. There are no age-based restrictions at the Conference. All attendees need to be registered and have a badge. Computer Animation Festival Electronic Theater and VR Theater Tickets may be exchanged at the registration counter no later than 1 hour prior to the screening time. All ticket exchanges are based on availability. Children under 16 are not permitted in the SIGGRAPH Asia 2018 Exhibition. Age verification is required. Registered attendees under 16 years of age may enter the Exhibition Hall only under one of the following circumstances: as "wearable" infants/toddlers (those being carried in a sling or backpack carrier) or as children that are part of an official SIGGRAPH guided tour event. No cameras or recording devices are permitted at SIGGRAPH Asia 2018. Abuse of this policy will result in revocation of the individual’s registration credentials.